the next frontier in advancing traditional business models. Blockchain is a true peer-to-peer network that will reduce reliance on several types of third-party intermediaries such as banks, lawyers, and brokers. Blockchain can speed up the process execution in multi-party scenarios and allow for faster transactions that aren’t limited by office hours. The distributed and encrypted nature of blockchain means it will be difficult to hack. This shows promise for businesses and IoT security. Information in blockchains is viewable by all participants and cannot be altered. This will reduce risk, fraud, and create trust. Exchanging documents such as invoices and purchase orders with complete transparency and trust among parties. Transparent, efficient, and synchronized exchange of information among multiple parties on a project. The most complex and most valuable benefit provides total transparency across the value chain, from the manufacturer to the end consumer. Blockchain is expected to enable many different types of collaboration in near future, which will very likely lead to brand new operating models, business models and even completely redefined value-chains. 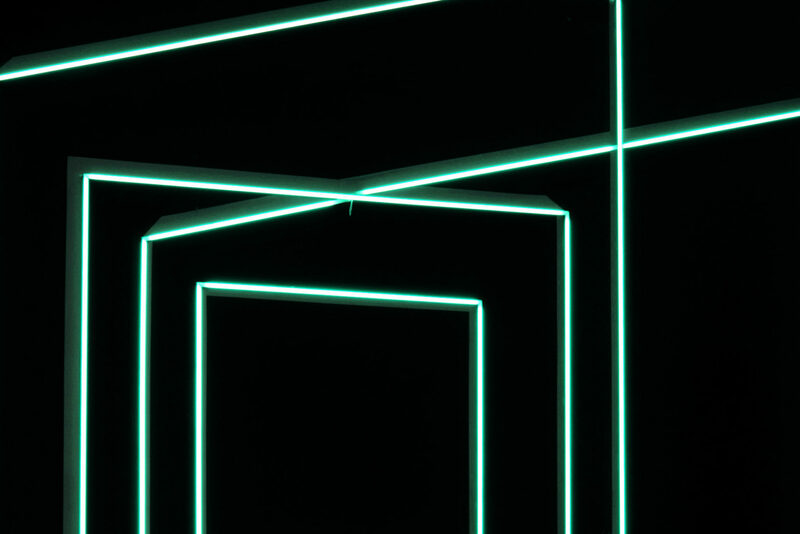 Considered “permissionless,” public blockchains allow anyone within the network to view and submit transactions as well as take part in the consensus process. Users in a public blockchain can choose to remain anonymous. A popular example of a public blockchain is used by cryptocurrencies like Bitcoin and Ethereum. A private blockchain is highly centralized and controlled by a single entity determining who can access, participate in the consensus mechanism, and conduct transactions within the network. The consensus mechanism in a consortium blockchain is open to and controlled by a pre-selected group of members, such as corporations, who can view and submit transactions within the network. The data in the network can be viewed publicly or restricted for use by only selected participants. This option renders consortium blockchains highly suitable for business use. The civil Association for SophiaTX is based in Slovakia, while Equidato Technologies, the company delivering the technology is based in Lupfig, AG, Switzerland. All news and important announcements are published on our social media (Telegram, Twitter, Facebook,..). However, if you would like to learn more about the technology, there will be a “Learning Corner” that is currently in development. Enterprise resource planning (ERP) is the integrated management of core business processes, often in real-time and mediated by software and technology. ERP is usually referred to as a category of business-management software — typically a suite of integrated applications that an organization can use to collect, store, manage and interpret data from these many business activities. SAP is an enterprise resource planning software developed by the German company SAP SE. Do you have a partnership with SAP? No, we are independent of SAP (and other ERP/CRM providers) for commercial and innovative reasons – it allows us to be more innovative, free of previous structures and truly disruptive. 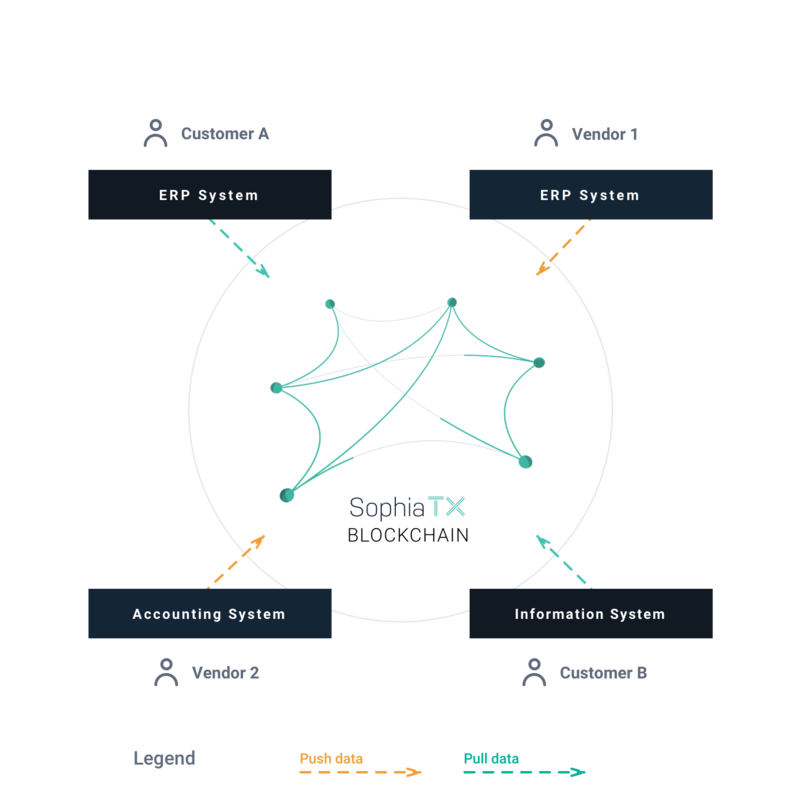 Is SophiaTX building a blockchain integrated ERP software? Yes and no. We are building a well-managed, adoptable and adaptable ecosystem, that allows businesses in various industries to explore and integrate blockchain technology into their business. 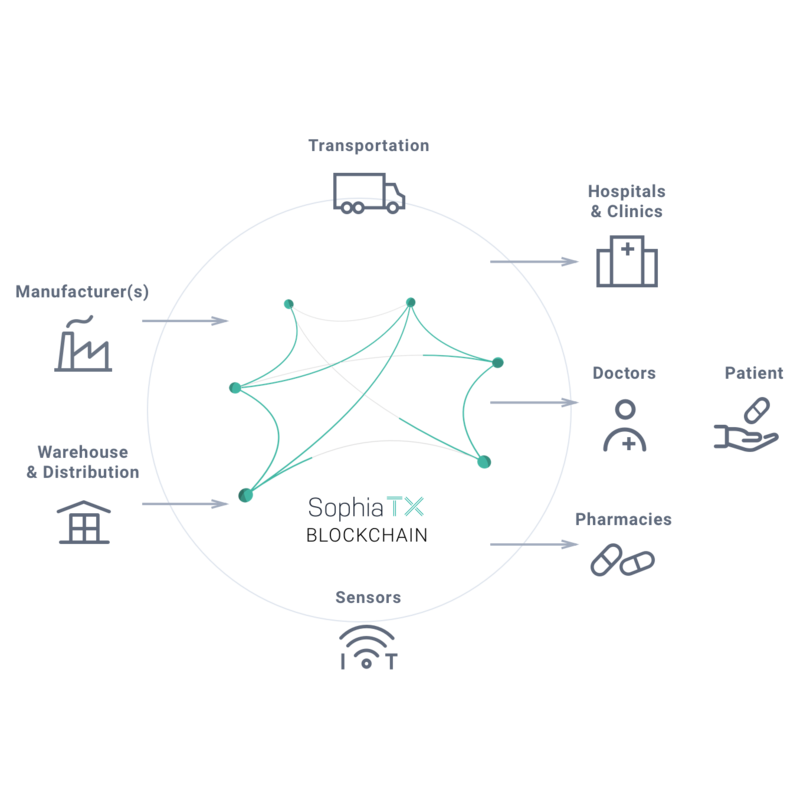 How does SophiaTX connect to SAP/other ERP? We are not part of any ERP/CRM and are independant, therefore we can not think of this connection to be as simple as “downloading an app to your phone”, but rather think of SophiaTX as a platform running “underneath” an ERP your company uses, which has its own network (blockchain) and data you run through your ERP are sent via specially designed APIs to that network. Who do you consider to be your competitor? No one. We are focusing to develop and deliver a unique ecosystem for every business to explore and benefit from. As you can imagine, the world of ERP, CRM, business and blockchain solutions is big, so we get approached by different offers daily. However, for possible future competitive reasons, we take great care to firstly focus on bringing what we promised on the table. When will the test net be opened for early adopters? The test net (testing version of the blockchain) is already up and running. We use it to demonstrate our POCs (Proof Of Concept) and test its capabilities. First “Early Adopters” will be granted access once both Browser and Market Place are launched. When will the main net be ready? Where can I see the roadmap? Our roadmap is on our website (link) where it’s updated “as we go”, and in our Whitepaper which is also downloadable on the website. Where can I buy SPHTX? Do you plan to be listed on some other/bigger exchanges? It is not our priority at the moment. How will I be able to swap my tokens? There will be a time period for a “Token to Coin” swap, where you will need to send us your ERC20 SPHTX Tokens, which will then be exchanged for SPHTX Coins in a 1:1 ratio. Further details will be announced prior to this event. Will there be support for ledger after the token swap? Yes, we plan a support for hardware wallets after coin swap. Will I lose my ERC20 tokens after the coin swap, or will I still be able to use them? You will be able to use your ERC20 SPHTX tokens even after the “Token to Coin” swap, however, after this “Swap Event” (a certain time period), you will no longer be able to change your tokens to coins. This will be done due to possible value-in-time speculators. How can I use the token once the main net is launched? 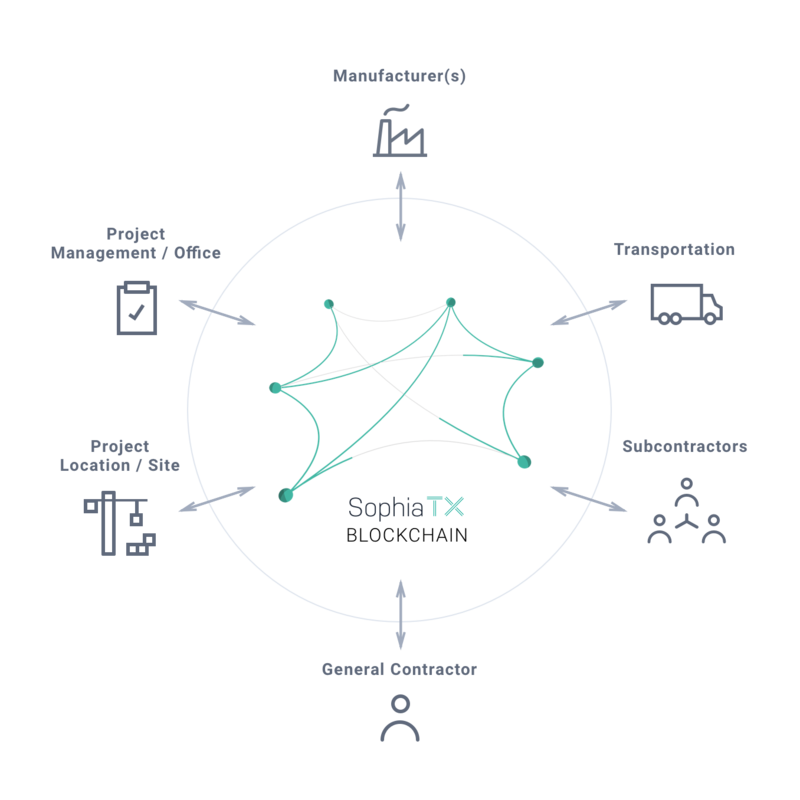 Once the SophiaTX Blockchain is fully launched, it will utilize its own proprietary coin SPHTX. SPHTX will have multiple uses on the blockchain, within the marketplace and will also be included as a “utility token” in many decentralised applications (Dapps).